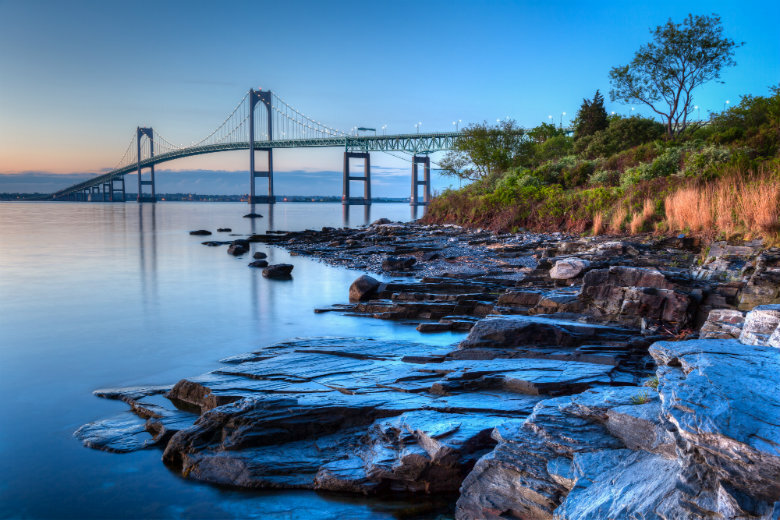 Rhode Island may be small, but the state has much to offer visitors and residents, alike. It is prominently known for its sandy shores and historic sites. The Ocean State is rich in culture, history, entertainment, and much more. Its location makes it the perfection destination, as it borders Massachusetts and Connecticut. When you are looking to move to or vacation in Rhode Island, you will want to take your car with you. This is where an auto transport company, such as National Dispatch, can be of assistance. National Dispatch specializes in providing auto transport services at an affordable rate and ensures that your car reaches its destination, safely. Why Ship A Car To Rhode Island? Here at National Dispatch, we aim to make the lives of our customers easier. Although it may seem like a good idea to drive your car to its destination, shipping your car is the simpler solution. Let us explain. Saves time. It can takes hours, if not days, to drive across the country. Shipping your car with an auto transport company can save you precious time. Plus, all the hard work is done for you. Avoid stops. When you are going on a road trip, you want nothing more than to get to your destination, as soon as possible. When you are driving, you must stop for gas, lodging, and food. Instead of dealing with these annoying pit stops, you could be relaxing on a plane or at your destination. Less wear on the car. Shipping your car cuts down on wear and tear. Driving for long distances can wear down your tire’s tread. Read more reasons to transport your car. Fast shipping – We understand how important it is to you to get your car in a timely manner. We offer a variety of shipping options. Even if you need your car shipped on a short schedule, we have a shipping option for you. Experience – At National Dispatch, we have years of experience in the industry. We offer insured, licensed, and bonded auto transport services. It is important to ensure that the company offers insurance coverage and has the proper qualifications to ship your vehicle. Check for this with the Department of Transportation. Excellent customer service – We are a trusted name in the auto transport industry. Our customers rely on us to transport their vehicles anywhere in the United States. Our friendly, professional staff is available to answer any car shipping questions or concerns you may have. Providence is the capital of Rhode Island and also its largest city. Due to its age, it is one of America’s oldest cities. The Riverwalk & Waterplace Park is the perfect place to take a walk down the cobblestone path or float down the river on a gondola. The city is filled with multiple universities and hospitals, which provide jobs for the residents. The main employers are Brown University and Rhode Island Hospital. If you love animals, be sure to check out the Roger Williams Park Zoo, located on 40 acres of property. Providence is also for food-lovers. The city even has its own museum for the art of cooking, the Culinary Arts Museum. Warwick is half the size of Providence, making it the state’s second largest city. The city is rich in history, art, culture, and coastline. It even has ties to the American Revolution. In July, the average high is in the 80s. On the other hand, in January, the average low is in the 20s. Like much of the rest of Rhode Island, Warwick typically sees snow. Warwick is home to many parks, historic sights, and landmarks, including the Warwick Neck Lighthouse. 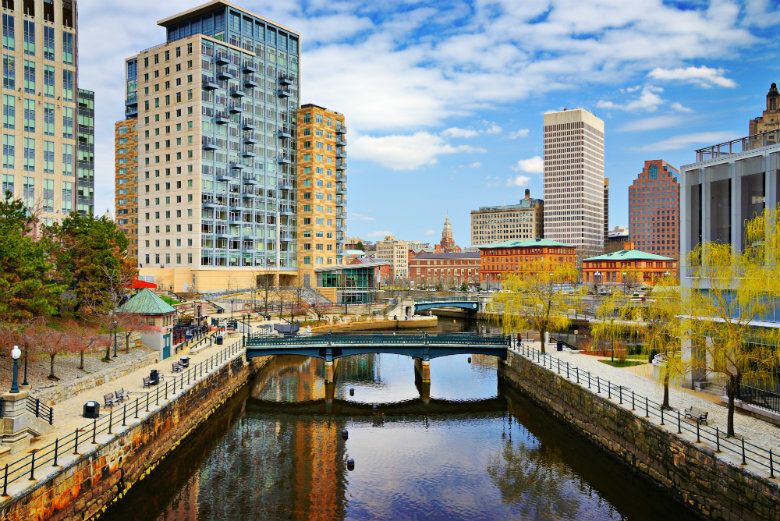 Making a trip to Providence is not difficult, since the capital is located only 10 minutes away. Cranston is mainly rural with multiple historic districts. The city is known for being home to the headquarters of Alex & Ani, a nationwide jewelry manufacturer. Cranston has received recognition in the past by the media and press, being named “Top 25 Safest Cities”, “100 Best Places To Live” in the United States, and more. Cranston is filled with attractions to spark the interest of any visitor. Some of the top tourist attractions include Narragansett Park, Sprague Mansion, Thomas Fenner House, Joy Homestead, and Garden City Center. Pawtucket borders Providence, Rhode Island and Massachusetts. With a population of over 70 thousand residents, it is the fourth largest city in the state. It is located around several rivers, including the Blackstone River. If you are interested in history, be sure to check out Slater Mill Historic Site, a historic textile mill. The city also provides opportunities for outdoor recreational activities, such as biking, walking, playing tennis, and more, through its parks. East Providence is a less than 10 minute drive from Providence via I-195. The city is located just on the other side of Seekonk River. East Providence consists of five different neighborhoods: Phillipsdale, Rumford, Watchemoket, Kent Heights, and Riverside. If you venture outside of the city, you will find several farms to pick fruits, such as apples and berries. The community has one of the lowest crime rates in Rhode Island. Learn more about East Providence. Are you in need of auto transport services to or from Rhode Island? You are sure to fall in love with everything that the state has to offer. When planning your visit, rely on National Dispatch for your auto transport needs. Request a free, instant auto shipping quote, today. No personal information is required. If you prefer to speak with a representative, contact us at 800-321-2051.